Spring is a time of life and rebirth when the trees regrow their leaves and flowers return to cover the landscape. 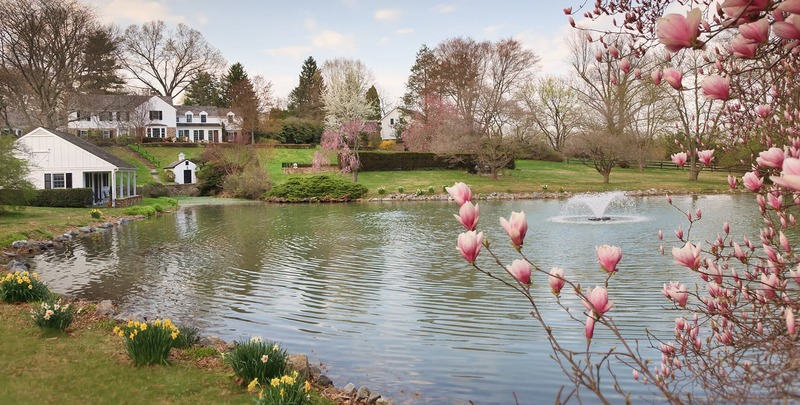 Winter has a way of making everything, from plants to people, feel a little down, so why not lift your spirits with a spring getaway to Brandywine Valley? 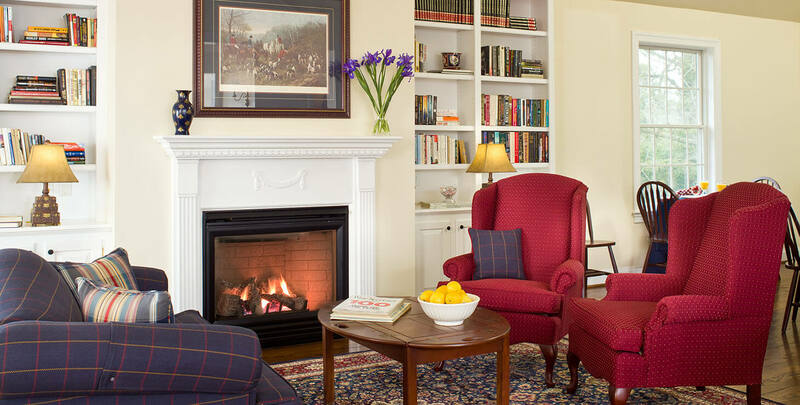 Inn at Whitewing Farm has the ideal location and amenities you need for a perfect spring escape. 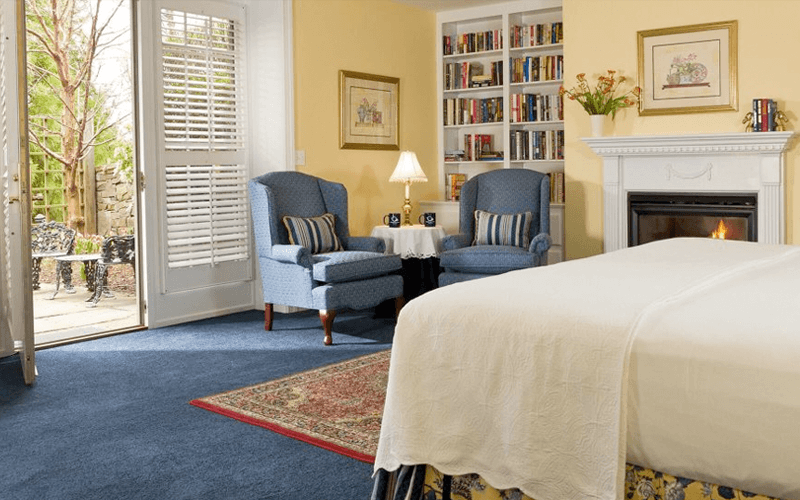 Recharge your batteries, and enjoy rest and relaxation at our Kennett Square, PA bed and breakfast. We’ve put together a three-day itinerary chock-full of activities, so you can spend more time having fun and less time planning – check it out below! 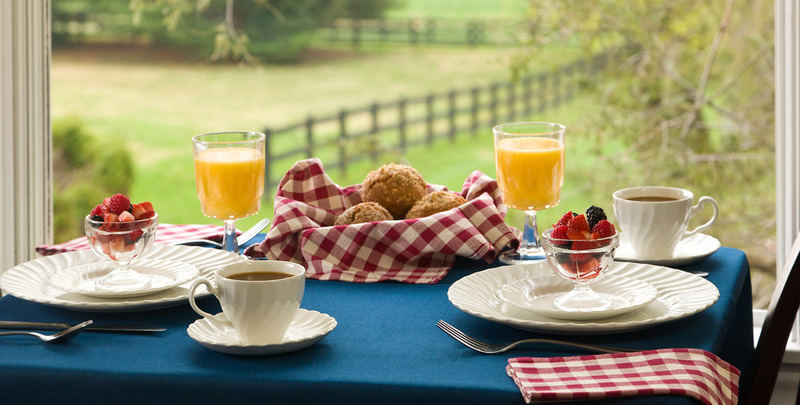 Wake up from your comfortable night’s sleep and start the day out right with our delicious in-house, country-style breakfast. Look forward to chef-prepared delights like Homemade Blueberry Bread, French Toast Soufflé or Roasted Vegetable Quiche. 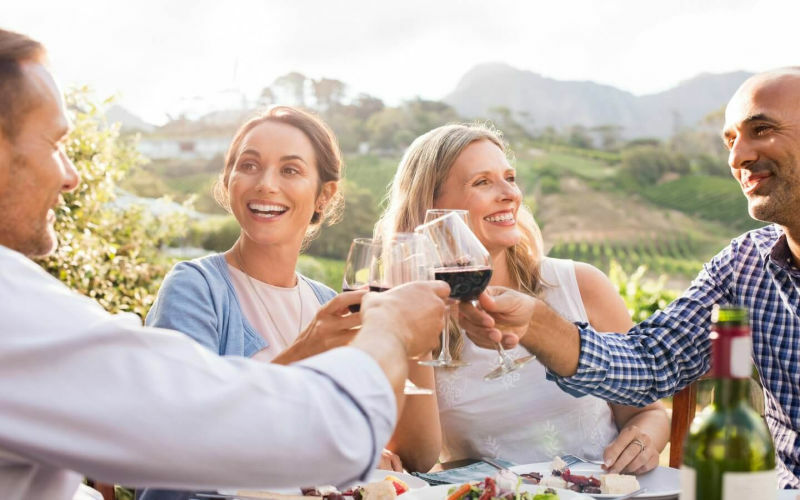 With a full belly, you’ll be ready to embark on the Brandywine Valley Wine Trail. It’s easy to spend an entire day tasting local wines and cider while taking in the ambiance and scenery of the area. Once you’ve seen and tasted all you can, head on back to the Inn by 4 pm to enjoy our complimentary afternoon tea and treats. Bring one of those bottles you picked up from your wine tour to a fantastic dinner at Portobellos in Kennett Square. It’s a delightful BYOB restaurant in the Mushroom Capital of the World with an ever-changing seasonal menu. Their affordable $5 per bottle corkage fee makes it a perfect place to cap off the evening with a glass of wine! You’ll be doing some walking today, so make sure and have a good breakfast with us for all the energy you’ll need. 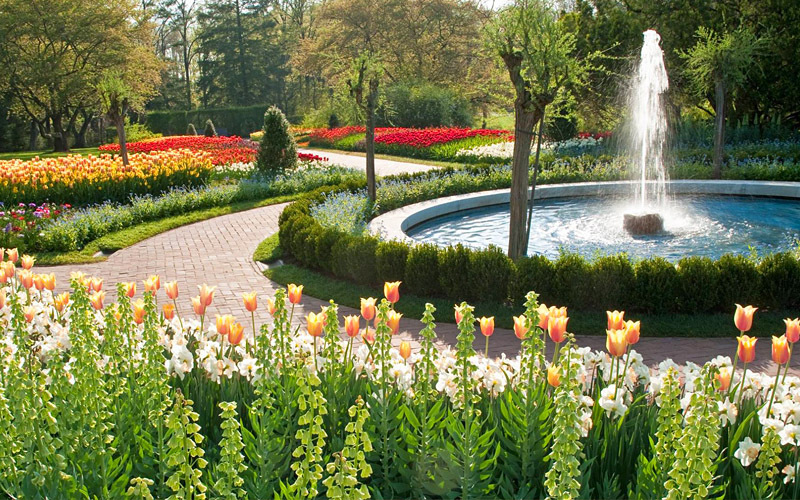 Now that spring is here, you must visit Spring Blooms at Longwood Gardens – it’s a great way to get in the spirit of the season, and luckily it’s adjacent to our romantic bed and breakfast. With over 1,000 acres of gardens, woodlands, and fountains to explore, it’s easy to get rid of those winter blues and trade them in for the many colors of spring. After viewing Mother Nature’s canvas, check out some more beauty at the nearby Brandywine River Museum of Art. Also known as the Wyeth Museum, this establishment features works from three generations of the famous family, as well as studio tours. Additionally, you’ll be able to see exhibits on lesser-known American artists, eat at their delightful café, and peruse their unique gift shop. Head back to the Inn for afternoon tea from 4 – 5 pm and enjoy savory treats and refreshments while you rest your feet. For dinner, a visit to Savona Bistro is a unique experience not to be missed. It’s highly rated and is just five minutes from the Inn. They offer a great seasonal food and cocktail menu, with unique finds such as Pear & Capicola Pizza, Wild Boar Bolognese and Honey Dew Mojito. Guests can enjoy the outdoor patio or grab a seat at the bar and eat at the open kitchen! A good day begins with a good breakfast! Have yours in our renovated 1796 hay barn for a meal with an atmosphere unlike any other. While our resort-style Inn has plenty of fun activities on site, like a newly renovated patio with pool and hot tub, clay tennis court with lights for evening play, catch-and-release fishing, and a large wine cellar with patio for a cool place to hang out – the Brandywine Valley offers so much more. Enjoy the cooler morning weather with 18 holes at Wyncote Golf Course. This award-winning Scottish-style course provides the finest conditions in the area with four sets of tees to accommodate any level of player. After your round, their Ball and Thistle Pub is available for a relaxed dining experience, offering a full menu and a wide variety of beer, wine and spirits. As the day warms up, take a relaxing trip down the Brandywine River in a canoe or kayak. With a gentle flow and no rapids, it’s a great way to spend an afternoon on the water. 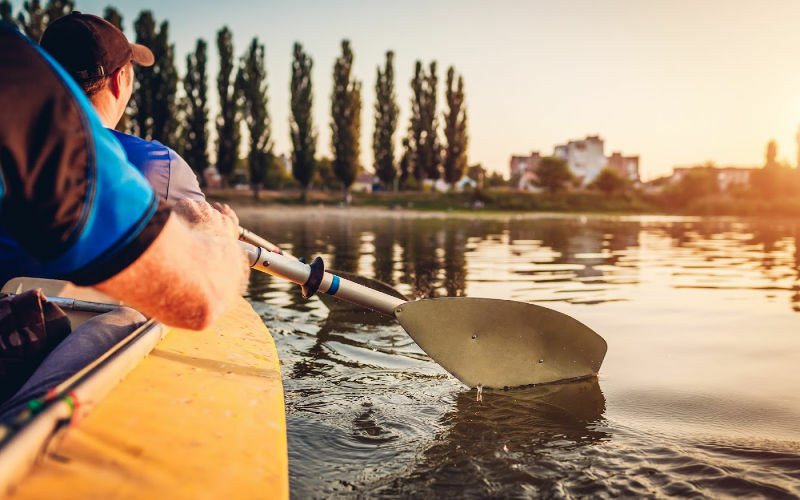 Our two local outfitters, Wilderness Canoe Trips and Northbrook Canoe, will be happy to set you up with everything you need. For dinner, Grain Craft Bar and Kitchen is host to an inviting outdoor atmosphere with hanging lights and picnic tables. It’s a fun and causal spot with great food and a fantastic craft-beer selection. Need Another Reason to Visit? Come Horse Around! Watch the ponies and Jack Russell terriers race at the Willowdale Steeplechase in Kennett Square – it’s a guest favorite! Held on Mother’s Day each spring, 2019 will mark the event’s 27th year of raising funds for deserving charities. They even offer Race Day Tailgating, so bring your mom for a Brandywine getaway and set up your own Mother’s Day brunch to remember! 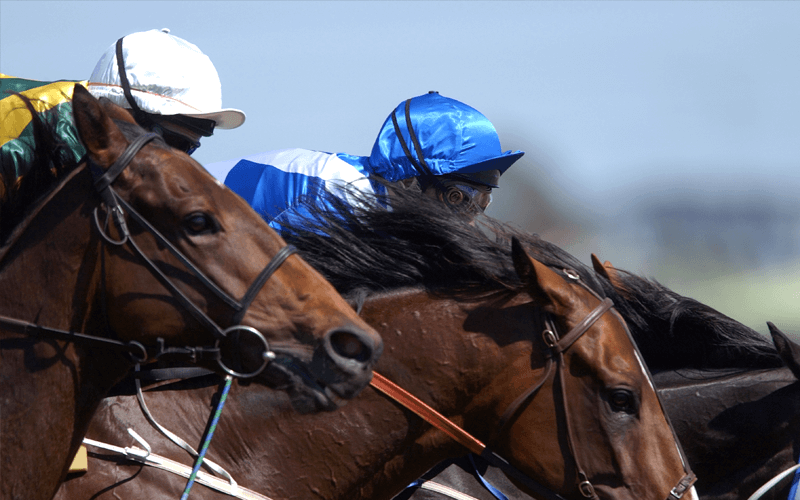 If you just can’t make it over Mother’s Day weekend, but you still want to see some horse racing, then aim for the popular Winterthur Point-to-Point on Sunday, May 5th. If you can’t make it that weekend either, then you must make a point to at least visit their beautiful museum and grounds. They open March 1st for a variety of daily tours and scheduled garden events, and is a major attraction for all of our guests while staying at our bed and breakfast Inn. If you’re looking for a getaway near Philadelphia or Baltimore, why not make Inn at Whitewing Farm your spring break destination? With excellent amenities and a perfect location to enjoy all the activities included here, there’s no better place to stay near Kennett Square, PA. Our luxurious rooms and suites are all extremely cozy, and are a wonderful respite after a day of adventure. They all feature private bathrooms and chic country décor, while some even have fireplaces for added ambiance. Our comfortable Inn, combined with the incredible natural beauty of the area, provides the perfect mix for your ideal spring getaway to the Brandywine Valley.